Every tradition has a beginning, and oftentimes those beginnings are by pure chance. 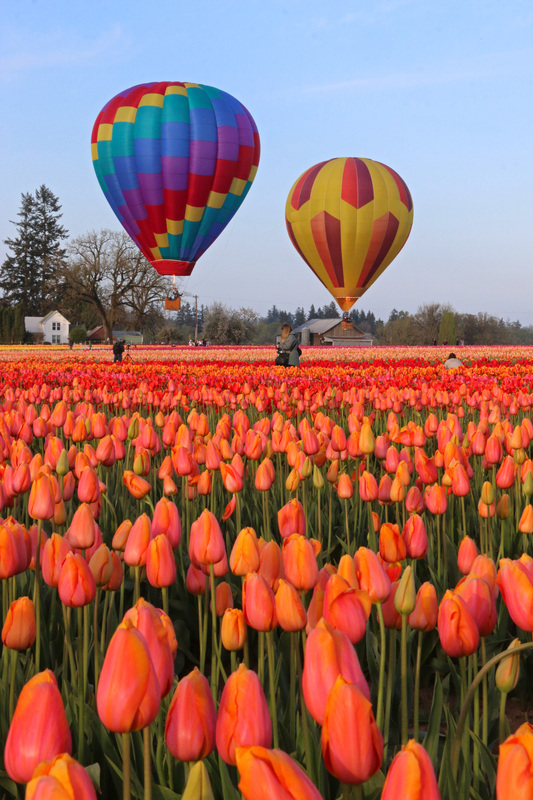 Take Oregon’s largest tulip festival at Wooden Shoe Tulip Farm in Woodburn, now in its 35th year. If it wasn’t for a neighbor’s suggestion in 1985 for the Iverson family to open their fields to the public, the Wooden Shoe Tulip Fest might not exist. To truly appreciate their tulip fields, you have to go back to the beginning. And since the beginning, the farm has always been about family. “My parents, Ross and Dorothy, bought the farm in 1950 and they proceeded to have six children because they needed help on the farm,” said Barb Iverson, owner. The family started growing tulips in 1974 after a farmer in Canby, who had been contract growing the flowers, decided to hang up his gardening gloves. In 1980, the contractor they had been working with retired, and the family bought the bulbs to start growing them for the wholesale bulb market. So after taking their neighbor’s advice to open the fields, they purchased an ad in the local paper and opened for Easter weekend. 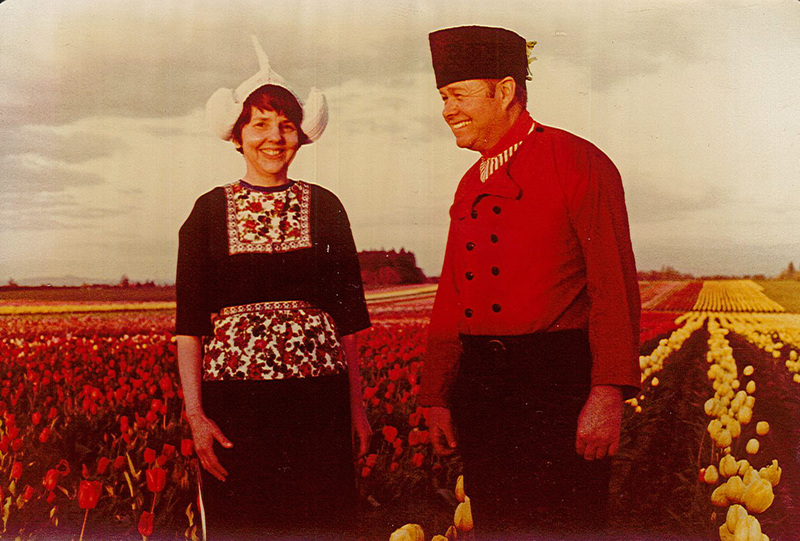 And 35 years later, Wooden Shoe Tulip Fest has grown into the largest tulip festival in the state and one of the three largest in the Pacific Northwest. But despite this growth, the farm is still about family. And to the members of Wooden Shoe, family also means their local community. Community at Wooden Shoe also means visitors. And these visitors come from all over. The Iverson family invites you to become part of their family. Opening weekend for the Wooden Shoe Tulip Fest this year is March 23rd and 24th. For complete information on how you and your family can experience the Wooden Shoe Tulip Fest, visit Oregon’s Mt. Hood Territory. The second photo is of Iverson's Dad, Ross, and Mom, Dorothy, taken the mid 1970s. 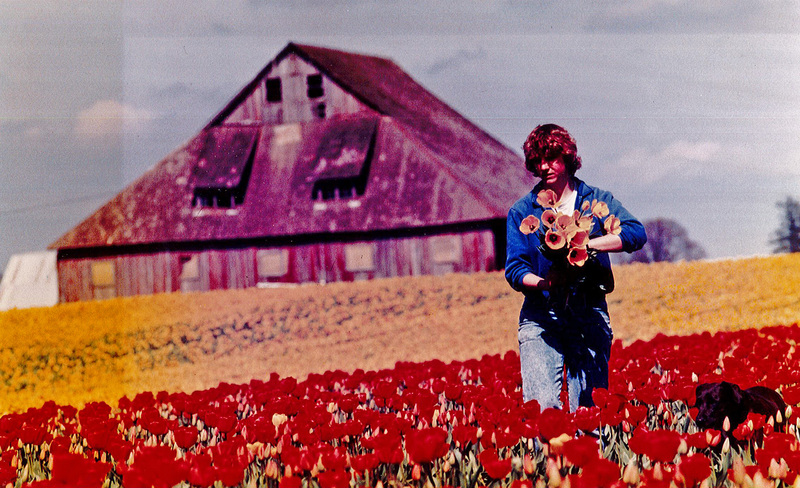 The photo with the barn and Barb Iverson picking flowers with their dog Molly was taken in the early 1980s.